What is the Camino de Santiago? Why did we want to walk? 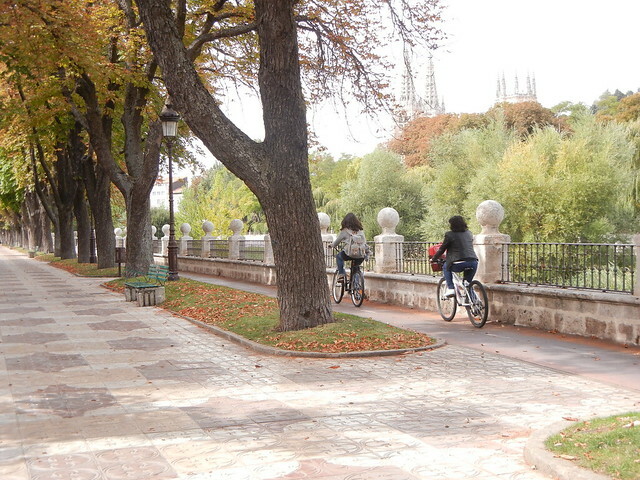 We are not peregrinos today but, instead, are tourists in the fascinating city of Burgos. We were on our feet all day and just as tired as we would have been if we had walked twenty kilometers. Well, maybe we did! 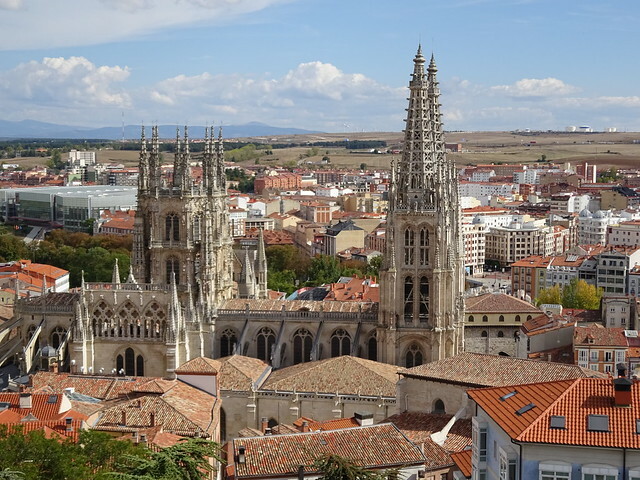 We visited the Museo de la Evolucion Humana, went up to Castillo Burgos (Burgos Castle) twice, and I went to the Museo del Libro. We also moved from our hotel suite to La Casa del Cubo, the new municipal albergue behind the cathedral. The remains of Castillo Burgos are on top of a hill overlooking the city. It was built in 884 and has undergone a number of extensions, renovations, and eventually destruction. The hill on which the castle stands was chosen as a suitable strategic location from which the early inhabitants of the newly founded city could be protected from the repeated attacks by the Moors. It was after the Napoleonic war in 1813 that the castle was blown up by retreating French troops. Finally it was restored and opened to the public in 2003. It was the best place to go for a view of the city. It’s official! Atapuerca is where our European ancestors came from! The prehistoric caves of Atapuerca were declared a UNESCO World Heritage site on account of their source as the earliest human remains ever discovered in Europe dating back over 900,000 years. An archeological dig is ongoing and is just three kilometers away from where we were walking on Day 18. Much of what has been discovered at the dig in Atapuerca is now housed in The Museum of Human Evolution, along with many realistic reproductions. 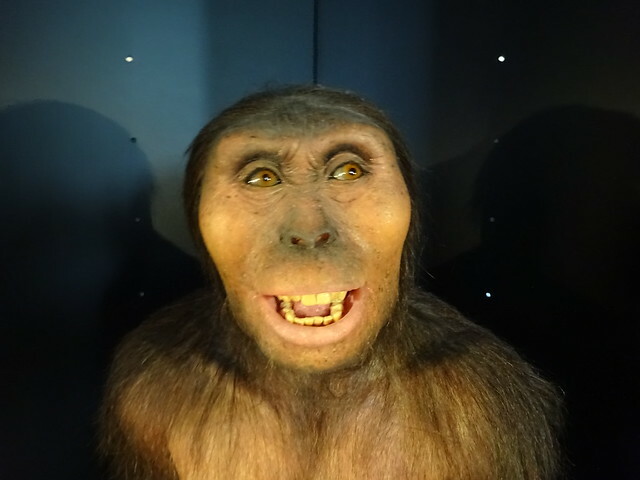 Altogether the real findings and the reproductions tell a fascinating story of homo sapiens. The museum is a new building shaped like a prism and has 7,500 square metres for the permanent exhibition. Hardly anyone else was there …alive, that is! We did see Lucy. Does she look familiar? She might be our direct ancestor, a missing gap in the human family tree. The albergue is in a great location for seeing many of the city sites. We are in a big dormitory that accommodates 26 people. They have an unusual set-up in this albergue. There are two sets of bunk beds set end to end with cupboards between them and divided from the next set of beds and cupboards by a wall. Each set has their own basin at the end. The showers are directly across a corridor and the toilets are at the opposite end of the huge room. When returning to bed from the W.C. in the dark, it would be awfully easy to go down the wrong isle and snuggle in with some stranger. That’s one way to meet people on the Camino! We know these city streets very well now after all our walking here. Tomorrow we’ll be back to walking the Camino again. 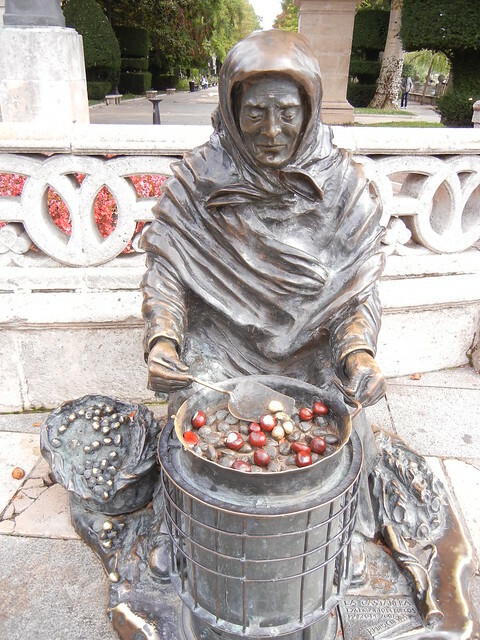 This entry was posted in Camino de Santiago, Travel. Bookmark the permalink. I just read Walking Home by Sonia Choquette and must say I like your pace of travel much better! You are taking time to see and appreciate the local sights and your feet must thank you! You’re giving time for the Camino to work its magic on all of us readers too. Glad to see that you are together again. Sometimes on our walks we wish we had a supply of Sonia’s Powerbars! I am still looking forward to trying one of those egg bocadillos that Sonia favoured. Doesn’t look like Lucy needed orthodontics! They ARE perfectly straight teeth, aren’t then?! Hi! I am Judy who lives in a community north of Victoria, B.C. in Western Canada. To celebrate my 70th birthday in the fall of 2015, my husband and I walked our first, most inspirational Camino. We are excited at the prospect of returning to Spain in the spring of 2019 to walk again.